Hi everyone, my name is Angela Tang. I am currently a junior majoring in Nursing with a minor in Art History. I look forward to graduating and becoming a registered nurse. Then going to graduate school to become either a Family Health Nurse Practitioner or Pediatric Nurse Practitioner and work in a hospital. I took this class to fulfill my requirement but also since I have a interest in art. In high school, I was part of the Jersey City Arts High School Program specializing in acrylic painting. 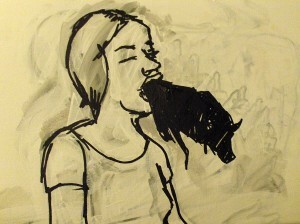 During my senior year, I took AP Studio Art where I did a series of acrylic paintings based on portraiture. Through my years of art studies I have come to realize almost every artist that was taught were Caucasian males. By taking this class, I intend to learn more about female artists whom almost seem unknown in typical art history textbooks. Being a female artist myself, it is important to understand women struggle through history which allow us to female artist of today. As an Asian, we are always stereotyped as either working in some kind of medical or other professional industry. Therefore, by taking this class and learning more about feminism could relate to my future job as an APN. It will help in interacting with my patients and better socialize with the colleagues on the same unit. 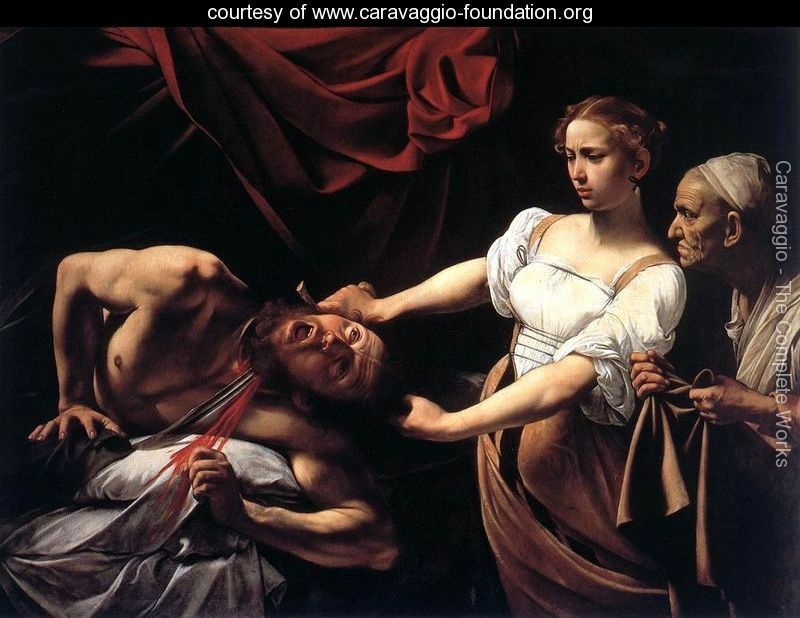 This is a painting by one of my favorite painters, Caravaggio. It is called Judith Beheading Holofernes.